The experienced Swiss international is targeting a UEFA Champions League return for the Gunners. Arsenal new boy Stephan Lichsteiner has revealed that the Gunners’ new project was too good to turn down and their quest to return to the UEFA Champions League swayed him as he joined the North Londoners on a free transfer from Juventus. “There is a project. There is a project to come back into the Champions League. I think it’s hard to see a club like Arsenal not playing in the Champions League,” Lichsteiner told Arsenal Media in an interview. 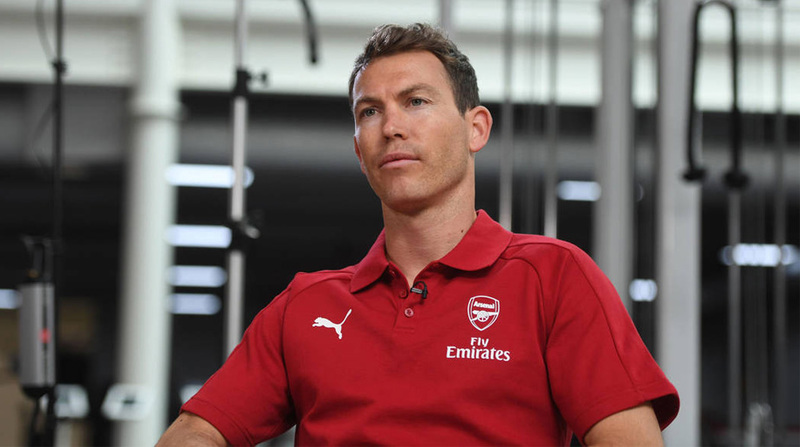 After spending seven trophy-laden seasons with the Bianconeri, Lichsteiner was a free agent in the summer and his acquisition by the Gunners is seen as shrewd one. “If you see the players, if you see the club, the stadium… it’s the project, the big opportunity to get back to the highest level,” the 34-year-old added. The first signing of the Unai Emery era at the club, Lichsteiner can literally play any position on the right flank, from a fullback to a winger. And the Swiss, who captains his national team, insisted that there were similarities between the current situation at Arsenal and the one he was in when he signed for Juventus. With Switzerland participating at the 2018 FIFA World Cup in Russia, Lichsteiner will be in action for the European nation when they open their campaign against South American heavyweights Brazil on June 17. Along with Brazil, the Swiss will have to contend with Costa Rica and Serbia for a place in the knockout stages.